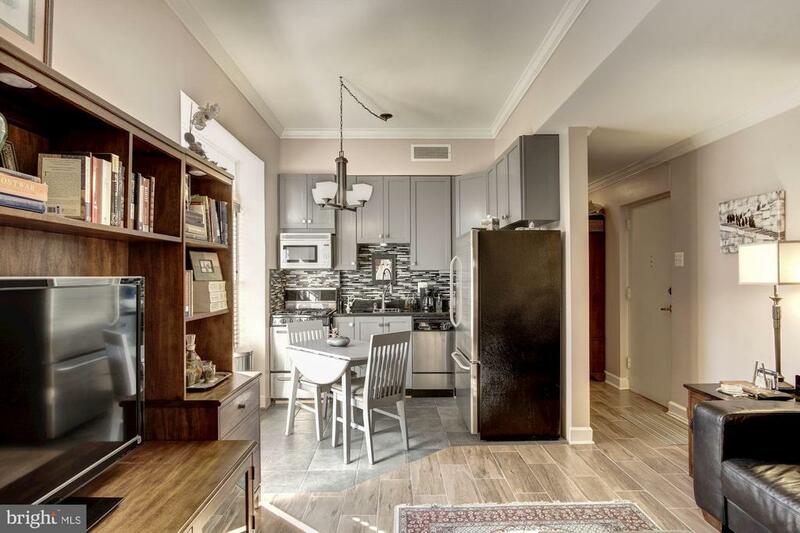 Artfully curated living at The Carolina on the Hill condominium ~ just steps to the US Capitol! Your chance to join the ~small house~ movement! The beautifully designed kitchen opens to a magical private patio ~ perfect for pets, gardening and outdoor living & dining. The main living area features an open plan. The bathroom was recently renovated top-to-bottom (washer/dryer in unit). The sizeable bedroom features a large closet. And the location! EZ walk to brand new Whole Foods Market and bustling Navy Yard neighborhood as well as to Capitol South metro and Providence Park.